This year's energy price hikes have many people in the UK worried about their gas and electricity bills. If you've been with the same supplier for more than a year, or you've recently moved into a new home and haven't changed energy suppliers, then there's a good chance you could save money by switching to a different tariff, or a whole new supplier. Money Dashboard recently introduced a new section of our website in partnership with The Energy Shop that allows you to compare gas and electricity deals across a database of 1.1 million tariffs. Simply enter your information, and we'll show you the best deals available. If you're speaking to a representative, it's worthwhile asking an energy company if there are any additional charges that you may be subject to. Many energy companies have a daily standing charge regardless of energy usage, as well as a unit cost for energy consumed. If there is no standing charge, the unit cost is likely to be higher. When you switch to a new energy provider, there is a cooling off period that allows you to reconsider your choice. The length of the period varies, typically around 2 weeks; some are less than 7 days. 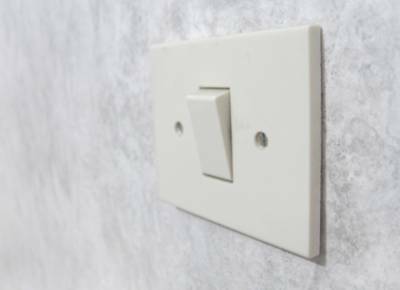 If you change your mind and want to switch back within this period, the switch can be undone at no extra cost. Some energy companies offer cheaper deals for going paperless and managing your account online. You will still be able to call customer service if you need to. Getting your gas and electricity from the same supplier is almost always the cheapest option. Often energy companies offer better deals if you sign up to pay by Direct Debit. Before making a decision to switch to an energy supplier, try searching online for complaints about the company. Most big companies will have to deal with a certain number of complaints, but businesses with poor customer relations will have more than usual. If you're aware of any friends and family already with the supplier, ask what they are like to deal with and take that into account when making your decision.If you're feeling confused by all the different tariffs and options, read our guide to energy jargon and what information you need to switch.